In America's Heroes, combat-affected medal winning Veterans from World War II, Korea, Viet Nam, Bosnia, Desert Storm, Desert Shield and Operation Iraqi Freedom open their hearts and their souls as they recount their experiences, their joys and their traumas during their defense of our nation. 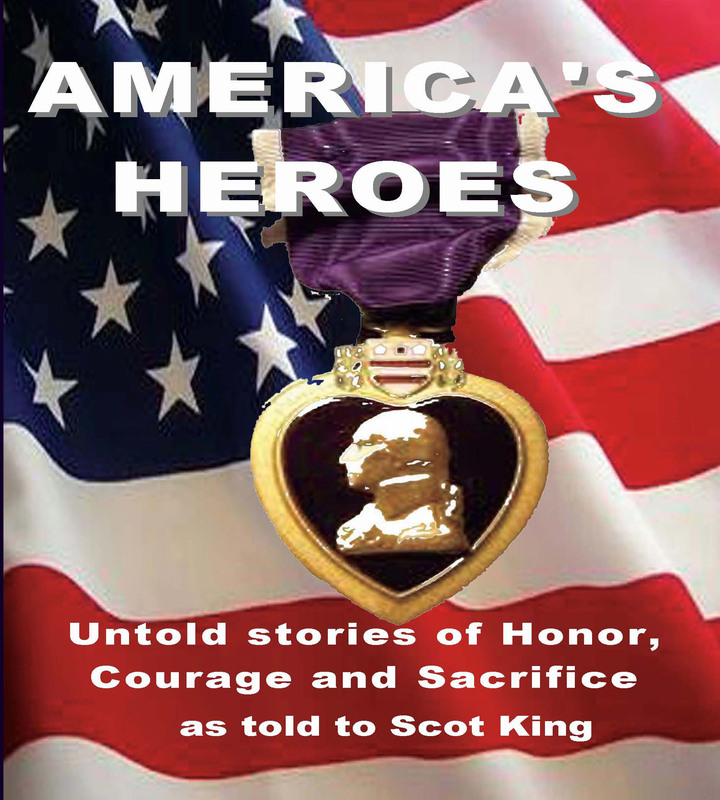 These factual stories told by the veterans themselves reveal the true heroism and valor of the American people and the valiant members of the United States Armed Forces and their families who sacrificed and gave so much, some of them their very lives, and in return have received little. Scot King, former corporal in the United States Marine Corps found another battle at home as he learned the true status of the combat veteran and his or her family; the status of being in need and being overlooked by the very system and the goverment for which they made such great sacrifices. Scot King has as a mission a bicycle ride from his home in Oregon to the capital city of every state in the "lower 48", where he will work with veterans and their families to bring the difficult plight of many of these combat-affected veterans and their families out into the public so that a grateful citizenry of the greatest nation on earth can give these heroes and heroines the honor and the respect that they are due. On his trek, Scot will interview veterans from the different wars and from all walks of life, and bring those interviews to the American public as a means of raising funds to offset the difficult times that the veteran - and the veteran's family - are experiencing. As a member of his hometown Benevolent and Protective Order of Elks Lodge, Scot is being aided on his ride, which he anticipates will take at least two years and cover more than 20,000 miles, by fellow members of the various BPOE Lodges around the nation as he tries to focus pulic attention and financial succor to these valuable members of our society. And in Scot's words, "If 20,000 miles doesn't do it, I will just keep on going. Marines don't abandon their brothers and sisters."